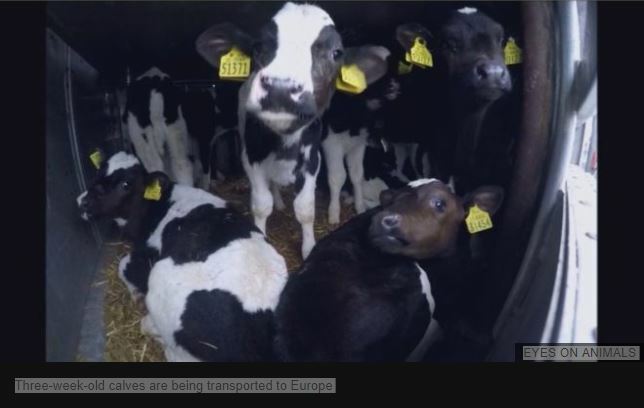 On Thursday 14 February 2019, the European Parliament called for the gradual replacement of live animal transport, a more regional model of livestock production, the forceful implementation of the EU Transport Regulation (EC 1/2005), and a ban on live exports if EU animal welfare standards are not respected. They also called for the establishment of a Parliamentary Inquiry during the next legislative term. MEPs collectively affirmed they want the EU to shift to a new way of trading animal products that is more respectful of the animals’ basic needs. The report recommends that unweaned animals are unloaded for at least one hour so they can be supplied with electrolytes or milk substitutes and that they are not transported for more than eight hours in total. The EU Parliament concludes that live animal exports constitute a serious problem and should be forbidden when EU welfare standards are not complied with in destination countries. Animal welfare campaign organisations have tried for many years to get progress at a European level on this issue, and now finally we have a position of the European Parliament which says that if a third country can’t meet sufficient standards, live exports to it should be banned. As well as a commitment to better enforcement of existing rules. Despite animal welfare organisations campaigns, the numbers of animals being transported and exported keep increasing. MEPs agreed that there is a need to develop a strategy to replace live transports with the trade of meat and carcasses, and to support and promote the options of on -farm slaughter, and reduce transport of unweaned animals to 8 hours.